South Carolina is a melting pot for international cuisine, especially when it comes to Asian-influenced food. Pho has gained traction in the Palmetto State, earning a tasty reputation among its fans. If you love pho (or have no idea what it is but want to find out), pull up a seat at one of these 10 best pho restaurants in South Carolina. You won’t find authentic Vietnamese cuisine like this without traveling to the Vietnam motherland. Here you can expect a variety of chicken, steak, and meatball pho served alongside healthy pairings like spring rolls and leafy veggies. And if you’ve never tried bubble tea, you’ll want to check it off your bucket list before you leave here. Specializing in sushi and skewered meats, you can also get your fill of delicious pho. These noodle soups are crafted with homemade stocks. Just choose your meats and enjoy a tasty hot meal that will keep you coming back for more. Though situated in downtown Columbia, this is one of Columbia’s hidden culinary gems. Their bowls of pho are as big as they are delicious. You might consider getting a large bowl and taking half of it home with you to enjoy later. With every dish as beautiful as it is delicious, you’ll love filling your appetite while you fill your Instagram feed. Pick your meat(s), then add your bean sprout, basil, jalapeno and lime yourself to ensure your pho is exactly how you expect. Portions are generous, so you might get two meals out of one! Featuring the best flavors of Vietnamese, Japanese, and Thai cuisine, this delicious eatery combines consistency with quality in every bowl of pho. Don’t let the outside fool you—if you love pho, you’re in for an authentic, tasty treat. Serving pho that pleases even the pickiest eaters, Pho Noodleville knows its way around Vietnamese cuisine. If you’ve never had the pleasure of eating pho and are looking for a good place to try it, this place will be the standard you’ll compare all future bowls of pho. There’s much than pho to be tried at this authentic Vietnamese restaurant, but if you start with a bowl of pho chances are you’ll want to call it a meal. They offer both vegetarian and meat varieties chock full of your favorite veggies and simmered with tasty stock. The ambiance only adds to the experience, making your meal as enjoyable as it is delectable. Far from the bustling Grand Strand, iNoodles provides a much-appreciated relief from seafood buffets, dinner theatres, and ostentatious themed restaurants. This Vietnamese restaurant is committed to serving healthy, fresh, delicious pho and other favorite dishes, combined with family-oriented service you won’t be soon to forget. Greenville has always been a melting pot of international flavors, so it’s no surprise that it’s home to some of the best pho you can find. Their pho soups are packed with meats like London broil, braised chuck, and brisket to ensure you get high quality flavor in every bite. 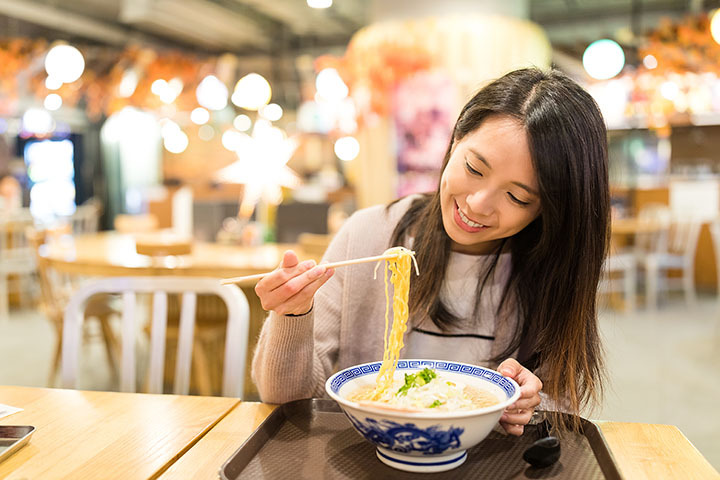 This small chain focuses on southeast Asian cuisine, including some of the most enticing pho bowls you’ll find in the state. With two locations in South Carolina (the other is in Charleston), you’ll find an enjoyable atmosphere combined with robust flavors packed into every bowl. And if you are a true pho fanatic, you’ll be glad to know that CO offers a rewards program for frequent eaters.